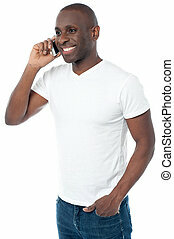 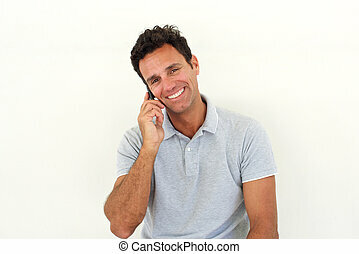 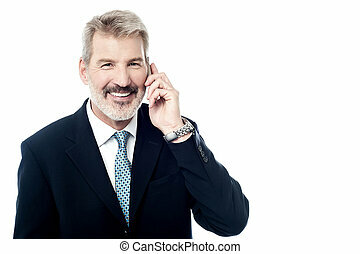 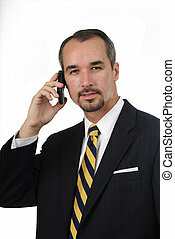 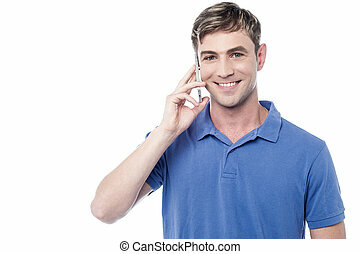 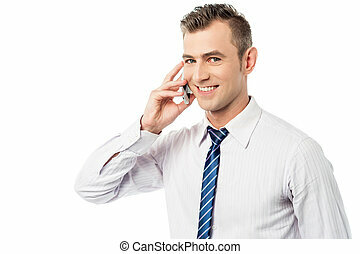 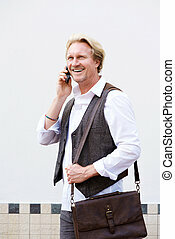 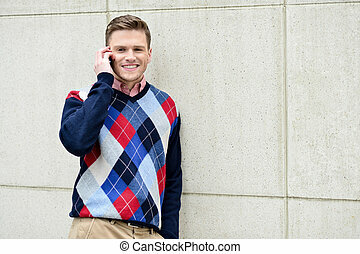 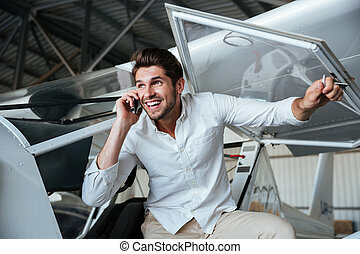 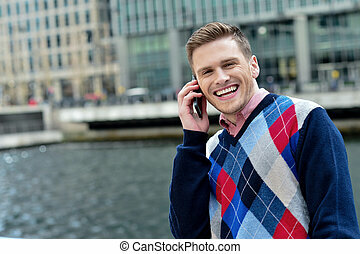 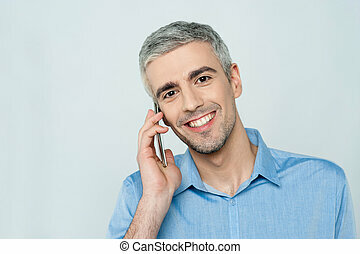 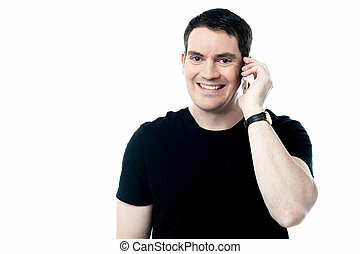 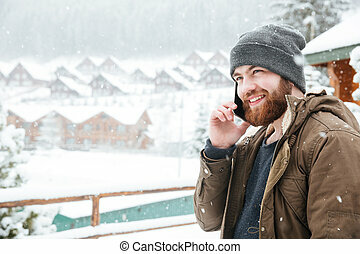 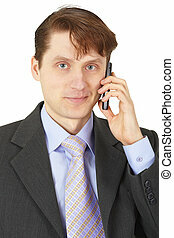 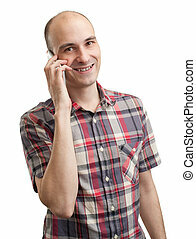 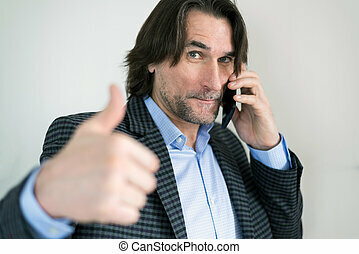 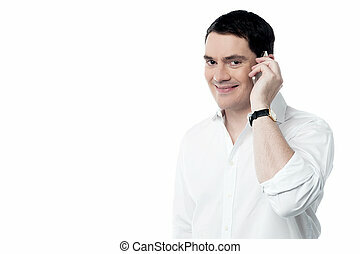 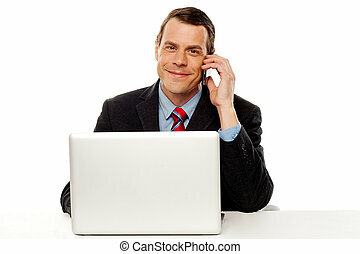 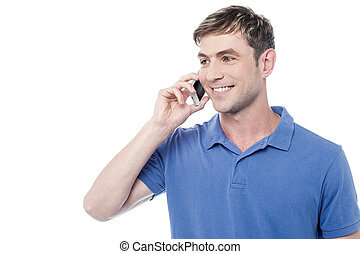 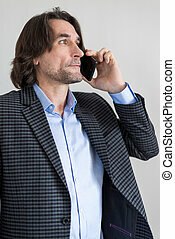 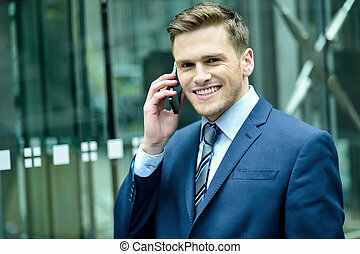 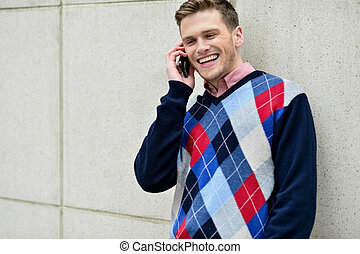 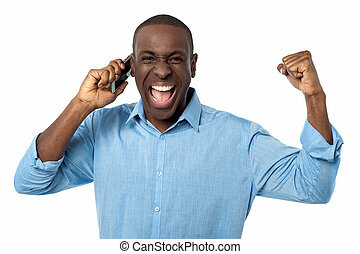 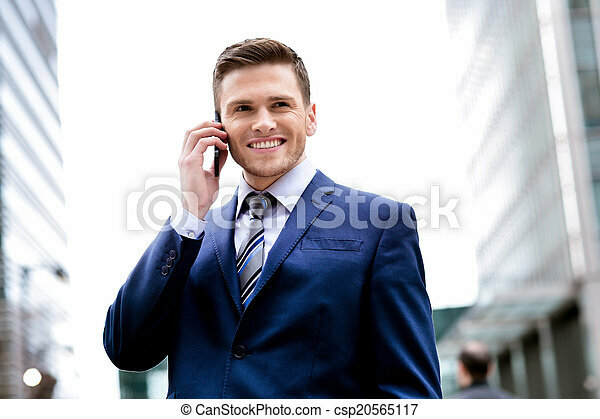 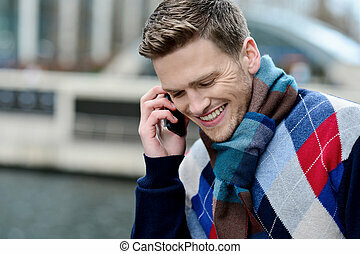 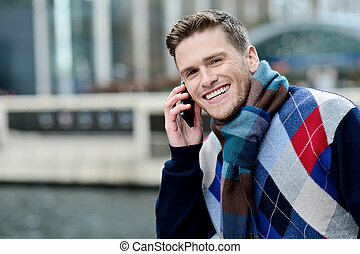 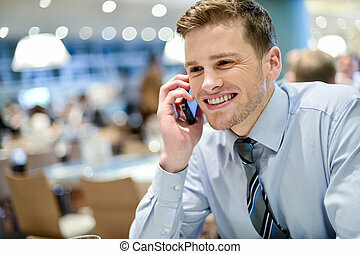 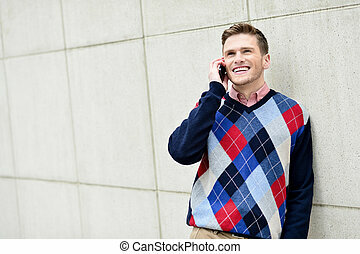 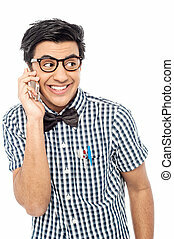 Smiling man in suit talking on cell phone. 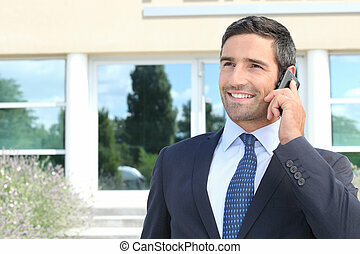 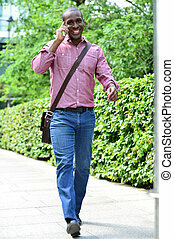 Businessman on the phone outside office building. 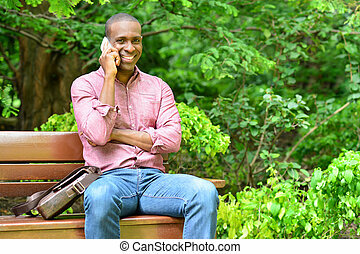 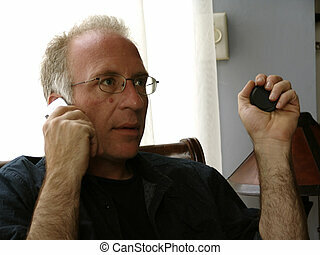 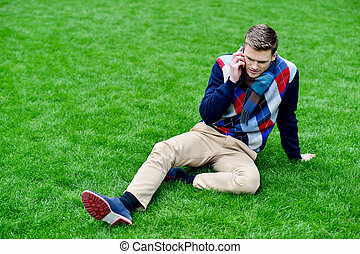 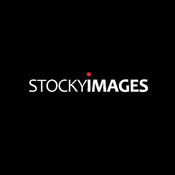 Man with glasses sitting in chair talking on cell phone. 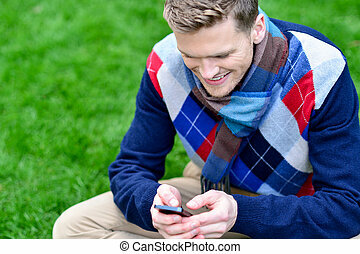 Handsome happy man using mobile, outdoors. 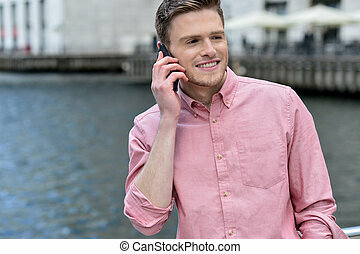 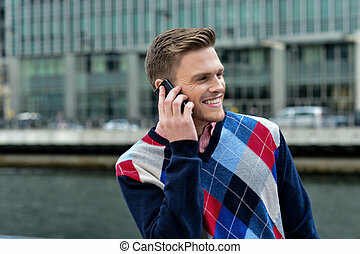 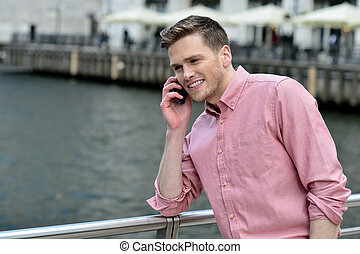 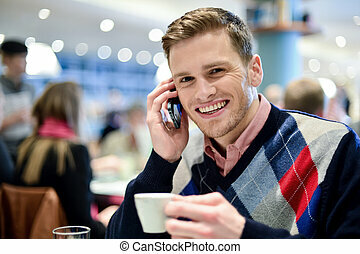 Young man in cafe, talking on mobile phone. 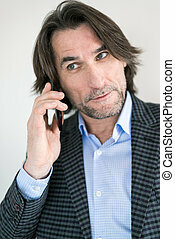 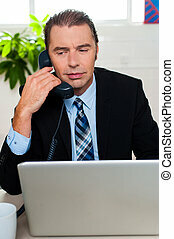 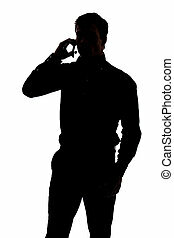 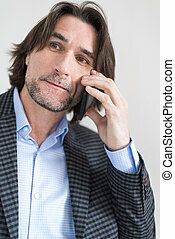 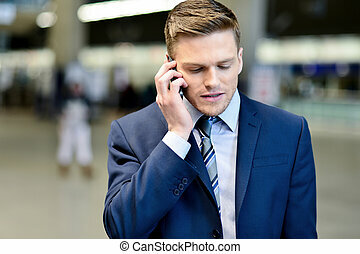 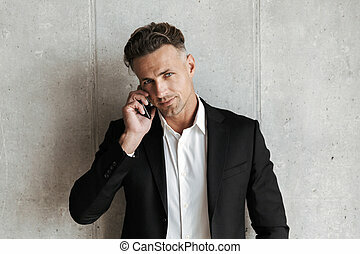 Businessman in office talking serious issue over a phone call.